Director, Information and Public Relations Rajender Singh said that the departmental functionaries should ensure optimum use of traditional publicity media and video shows for publicising the public welfare schemes and policies of the Government in all gram panchayats of the State. Director said it in the review meeting of the department which was attended by the officers of the Directorate and different districts. He said that audio-visual media was a powerful medium of publicity and video shows could be used even more effectively for generating awareness about the public welfare oriented policies and programmes of the Government upto grass-root level. He directed the district level officers to organise video shows based on new initiatives, policies and programmes of the State Government in all the panchayats at large scale. He also directed the officers to send proper feedback so that government could formulate new policies and programmes based on the aspirations and opinion of the common people. 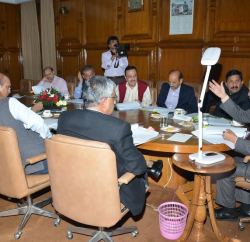 Rajender Singh said that efforts were being made to strengthen the working of the department by providing modern facilities upto Sub-Divisional level. 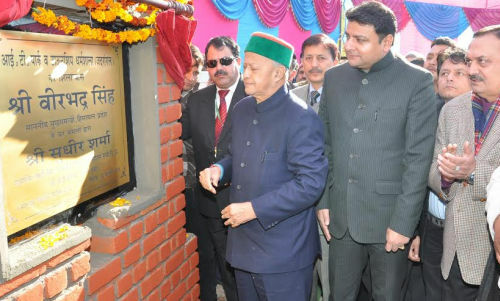 Besides, the matter of filling up vacant posts of different categories would be taken up with the Government. He said that emphasis would be given on imparting high level training to the officers and officials especially on new media with a view to improve the working of the department. He asked all the officers and officials of the department to ensure punctuality in their work so that targets could be achieved in stipulated time period. He also directed to maintain all the offices upto Sub Divisional level and weed out the obsolete office material. 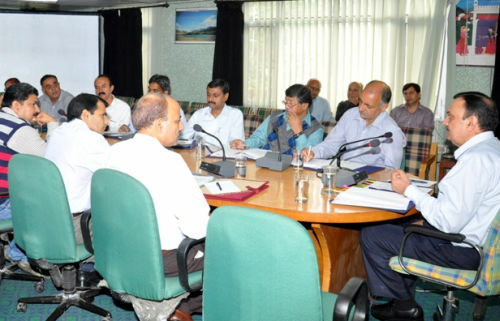 The Director said that review meetings of the department would be organised at regular intervals to ensure better publicity of the policies and programmes of the government.